Professionals from the Farm Financial Standards Council are answering questions about ag financial matters (non-tax related). Here is a question that was recently submitted. The Guidelines don’t specifically speak to this issue, but Steve Severe the CFO of Padlock Ranch in Ranchester, WY and a member of the Farm Financial Standards Council Technical Committee, provides the following guidance. 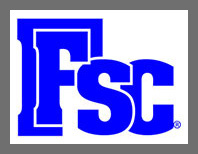 Click Here to Email Your Questions or email FFSC@redwingsoftware.com with a subject line of “Questions for the FFSC”. The FFSC will select questions to answer on this blog. Professionals from the Farm Financial Standards Council are answering questions about ag financial matters (non-tax related). Here is a question recently submitted by Travis F. Thanks for submitting your question, Travis! The current portion of a non-current liability (a debt with a repayment term longer than one year) is the amount of principal that is due to be repaid within 12 months of the date of the balance sheet. If the balance sheet is dated January 1st, 2014 then the current portion would be the principal due in 2014 regardless of the frequency of the payment (monthly, quarterly, etc. ).